Instead of buying mobile phones or tablets for your children that needs to grow up. Our suggestion is to buy an Amiga 1200 today for your child instead. This home computer got everything that a child can evolve their mind with. It is a home computer, that is a fantastic tool to use for your child. It also bring way more social gaming also for your child for sure. So, in this article I want to introduce Amiga to parents that wants to give their child something much more visionary and creative than anything else. Amiga community also certainly need new users and interested people. 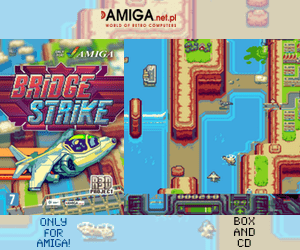 So, here we go!… the Amiga way! The best way to get an Classic Amiga is to check eBay, Finn or Tradera sites. They are full of people selling their Classic Amigas. However! If you are buying them from a person. Then you should make sure that you have a CRT TV or a LCD screen that can handle many types of screenmodes. 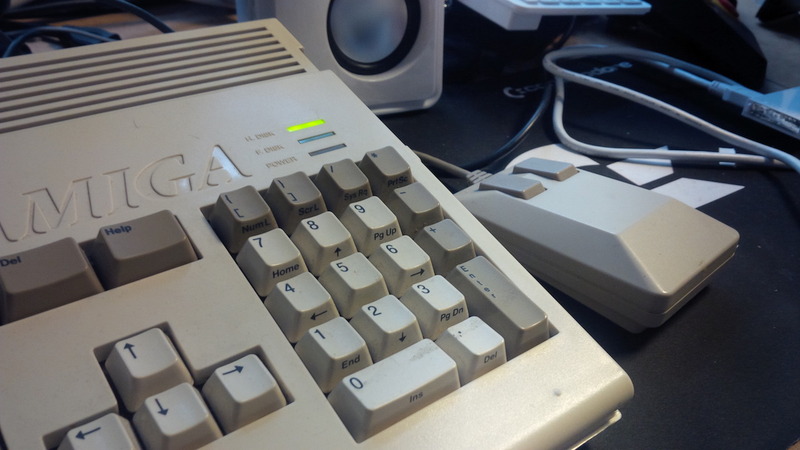 The model that we recommend is Amiga 1200, if you want full backward compatibility. Also! This fantastic home computer have access to tons of incredible software and hardware that is made for it to be used with it. This home computer from Commodore, that was released in late 1992 is very expandable and is also very easy to connect to the net thru software like Roadshow 68k program, which is available for purchase! But since this is a guide for Socialize Your Children, our focus is on them in this article. To prepare an Amiga for your child is really easy, but even more easy if you know how to it the best way. Even though Amiga 1200 is from 1992, it is pretty modern still because of addons that companies makes for the machine. Amiga 1200 is sort of like a Lada but with superpowers because of its brilliant community. So, If you want to connect an Amiga 1200 to your newest TV or HDMI monitor. 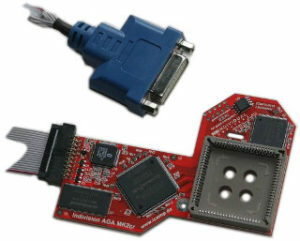 Then our tip is to get a Indivision AGA mk2 card for your Amiga 1200, because it gives DVI out. So! With this card which doesnt need any additional drivers installed, you can use your Amiga 1200 on modern monitors. Stunt Car Racer game is really fun! By getting this nostalgic home computer. Your child will learn a lot about how computers works. It is much easier to do that with an Amiga, since AmigaOS is so small in size. AmigaOS, which is the operating system. Is easy to learn and get to know. Your child will learn the basics about icons, about files, about how to install things on a computer and how to run more than one program at once. She or he will also learn about what sort of software is needed to do different things. They learn about how to connect a hard drive or use different kinds of expansion capabillities. Amiga 1200 is a Beauty of a home computer for sure. Here with our Tank mouse from Commodore. 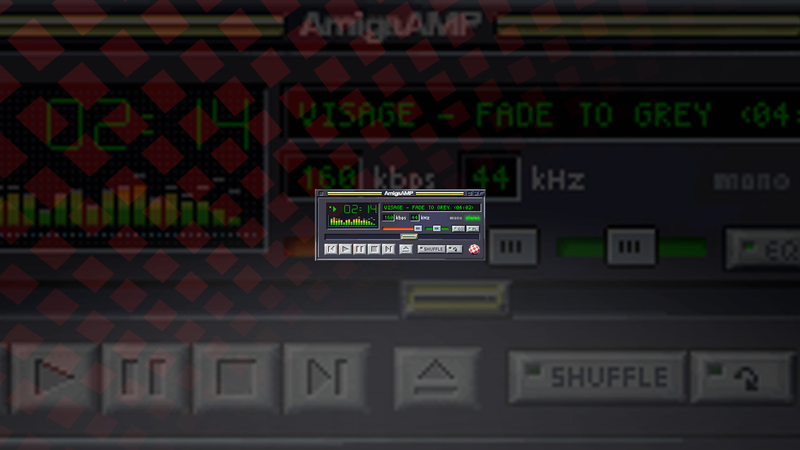 However, you can actually plugin anything to your Amiga 1200 if you want to. There is USB extenders or even USB connector cards that lets you use USB mouse also available. Your child will also learn to play games that is harder than todays games. Yes, back in the time, the game developers made the games harder, which made you feel amazing when you mastered them in the end. Many of the games for Amiga is also quite social. There are tons of adventure and find out games for the platform. However. It is those games with multiplayer support that is really great to play. These games makes your child invite others to your house for social gaming or play them together with mum and dad or a brother or sister. This is a really great way to socialize your child, if he or she likes to play games that is. Many parents these days just gives the children mobile phones or tablets for playing games on them. Pokemon GO and Mindcraft are excellent games for your child to make new friends over the net and socialize that way. 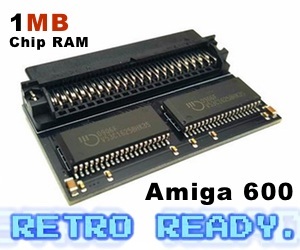 But with an Amiga! Your child will talk and play together in the very same room against his or hers friend. That might be a bit noisy sometimes, but your child evolves those social antennas pretty much this way! Also! If you buy more than one Amiga. You can connect these and have even more fun! There are tons of multiplayer games that you can play over a seriel network cable etc. 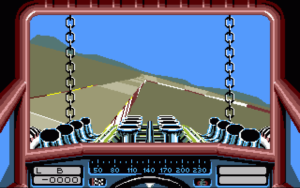 Stuntcar Racer, Lotus II, Super Skidmarks, Gloom Deluxe, Xtreme Racing and even also Alien Breed 3D! Some of these games can even be played against someone with the very same game version for Atari ST. 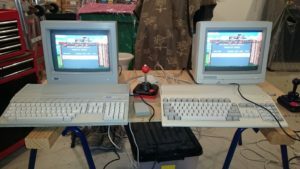 Yes, you could have a Amiga vs Atari battle in your computer room or basement if you want. Nintendo and SEGA brought gamepads to the world. However! Amiga uses the old universal Joystick port that Commodore 64, Atari and SEGA used. So, you can use SEGA gamepads on the Amiga! However, the most common Joysticks for Amiga got a stick. This one you control the characters and you only have one button. This made game developers need to be creative. So, many of options and settings is done by using the Amiga keyboard instead. 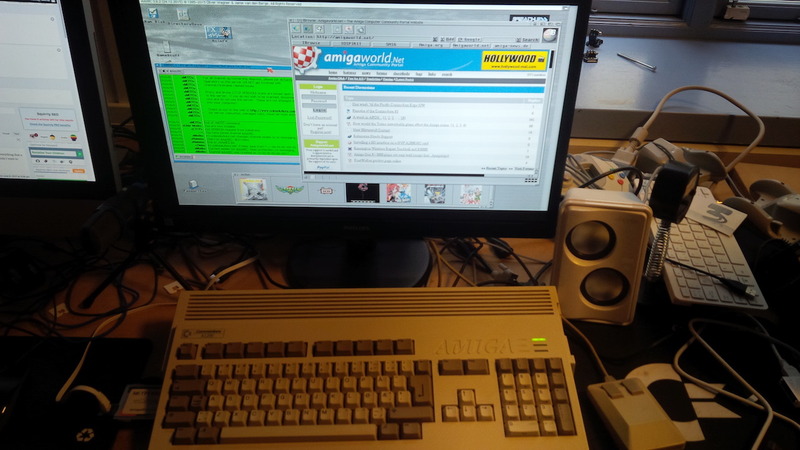 So, it is nice to have the Amiga near you, when you play and the monitor or TV some distance from you. All in all. These sticks gives you more precision and training of your arm. The ability to mix between pads and joysticks is also an advantage. Also your child will teach his or her hands to be able to use a screw driver or a drill way better in the future. There are tons of serious programs available for Amiga 1200. The most known paint program is Deluxe Paint and the most known music tracker program is Protracker. Also you have totally new paint program called Personal Paint that you can get thru AmiStore. There is also 3D and other serious programs for the Amiga. Also! If your child wants to learn how to code, the Amiga platform is one of the easiest platforms to start to do that on. Here you can follow a Crash Course for learning Assembler! Tuomas Järvensivu have made a great coure on-line. He managed to create a guide that is easy to follow for a language which is incredible difficult to learn. Amiga as a computing platform makes learning it much easier and also more fun! AmigaOS is a tiny operating system. So, then you have much easier access to it’s hardware. Which makes it way easiers to learn difficult programming languages like Assembler etc. AmigaOS also supports coding in C, C++, Amiga E, BlitzBasic and Hollywood to name some. AMOS is also great tool to learn advanced BASIC coding also. Amiga 1200 is a home computer for everyone. Either you like gaming or like to do creative or serious stuff. AmigaOS is one of the easiest operating systems that actually makes home computing fun. There are some obstacles if you don’t have a Indivision AGA mk2 card inside your Amiga 1200, but if you have a TV that got composite, you sort of get to use your Amiga 1200. 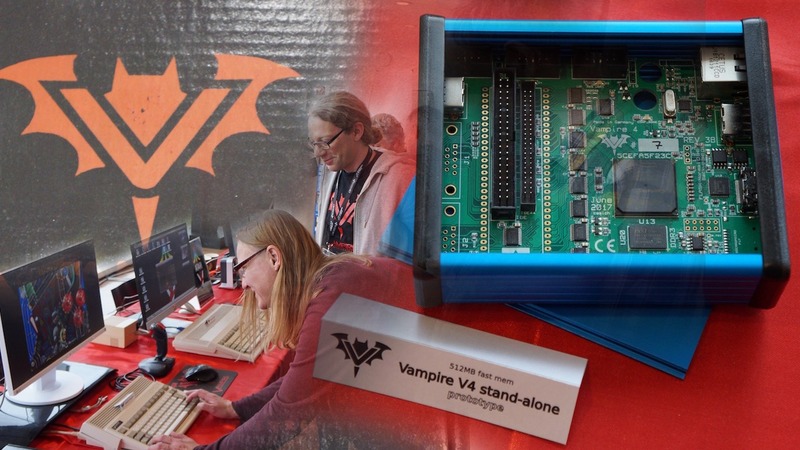 Later a Vampire is promised to give lots of upgrades for this fantastic home computer from Commodore. Until then, we recommend Indivision AGA mk2! And there is a lot more to learn. However, in this crash course for getting your child ready for todays computing world. Introducing an Amiga for them would be one of the best gifts for them ever. They would manage to evolve and become creative. Especially if they already tap on your mobile or tablet. If an Amiga 1200 becomes their first real computer. That’s right step for them later. Those families that have done this already, says that their child have evolved much better. 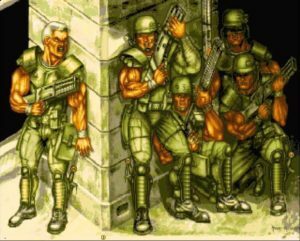 You can find them on Commodore Amiga and other user groups on Facebook where they post pictures of them playing or do Amiga stuff together with them. Amiga 1200 is the home computer that teaches your child more than anything. A PC or a MAC is just too big. AmigaOS is tiny, requires almost nothing and is lightning fast. Your child will evolve a lot with an Amiga for sure. But do make sure you still keep an eye on your child computer usage. Let them use it after home work is done etc or if she or he got a creative home work. How do you want your child to grow up? Now that’s up to You as a parent to guide him or her and Your child to decide his or hers path.